The company is called Digital Mobile Spectrum Limited and is responsible for ensuring Freeview customers continue to receive clear TV signal, while the 4G network is rolled out on the 800MHz spectrum – which is scheduled to start in spring next year. The creation of this joint venture means 4G services can be accelerated, with the UK's competitive 4G network becoming available as soon as possible in 2013. 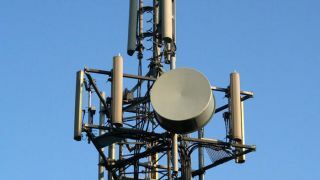 This has all come about after Ofcom and the Government met with mobile operators to discuss how the UK's 4G network rollout could be accelerated – allowing all carriers to get in on the super-fast network, after EE was allowed to launch its service early. There's still the small matter of the spectrum auction for the networks to fight over, but apparently everything is now in place to allow it to be processed as quickly as possible. There's still no exact date for when the likes of O2, Three and Vodafone will be able to join EE in offering 4G to customers, but it could now be in the first half of next year with this major stumbling block out of the way.